Men’s Clothing with Exciting Coupons and Cash Back Offers. Make a style statement with the best men’s dresses available at leading men’s fashion stores. With best men's clothing deals, staying in style won’t burn a hole in your pocket. Browse trending online offers and new deals on shirts, pants, suits, sweaters, jackets, hoodies, tuxedo, T-shirts, overcoats, loungewear, swimwear, joggers, socks, underwear, etc. We bring online shopping deals from recognized fashion brands like Men's Wearhouse, Old Navy, Express, Banana Republic, and 7 For All Mankind that have a strong legacy of maintaining excellence and customer satisfaction. We keep our deals website abuzz with season-oriented online offers focused on casual and formal men’s dresses. 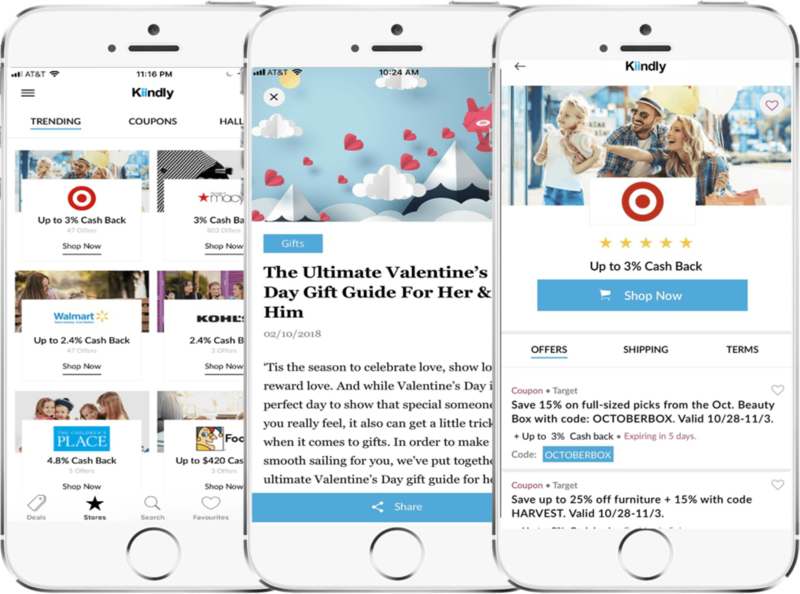 So, shopping at Kiindly, one of top-notch cashback websites in the world, is not just about discounts and savings but also getting the best value for money.